As the tension mounts and the victim maintains his innocence, the lines between justice and vengeance, innocence and guilt, become increasingly frayed. Just how far should you go before you accept a truth? And what does it cost you to find out? The latest film from directors Aharon Keshales and Navot Papushado, the Israeli-born duo behind the neat 2010 horror work Rabies [Kalevet], Big Bad Wolves was acclaimed by none other than Quentin Tarantino as the best film of the year and described by Total Film as "Brutally simple and brilliantly told," and Film Comment as "an extremely well-made work that cleverly toys with genres." 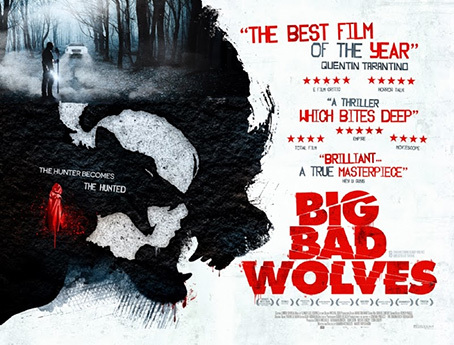 Big Bad Wolves comes to UK DVD on 28th April 2014 from Metrodome Distribution at a to-be-confirmed RRP.